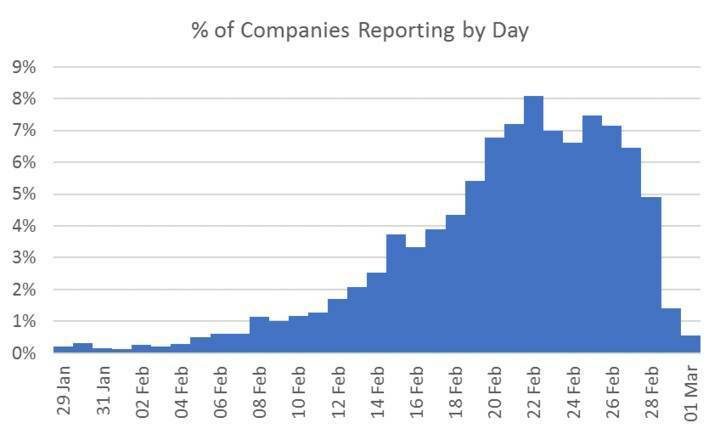 We collected historical data on over 600 companies (not all are still listed), covering their last nine years of reporting periods. 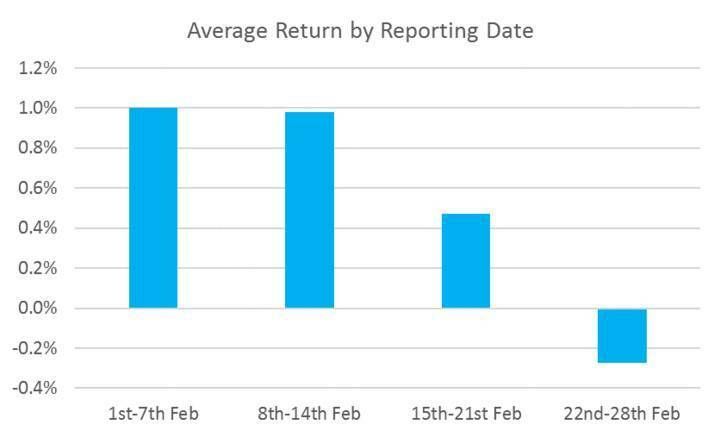 Looking back through previous February reporting periods there is a steady ramp-up in companies reporting results through the month, peaking around the end of the third week and then tailing off slightly towards the end of the month. 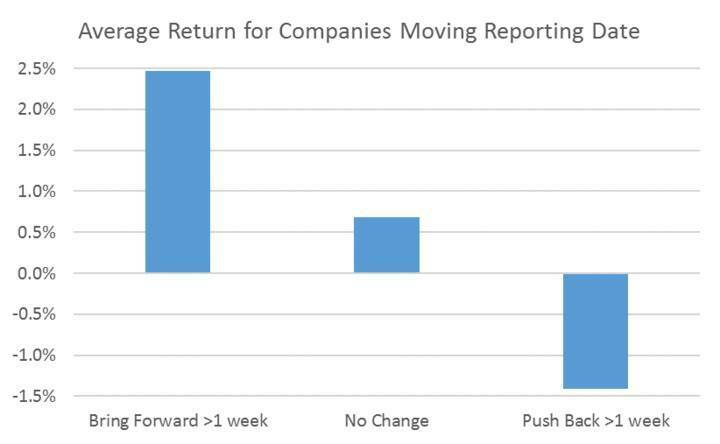 Interesting findings, which company moved their reporting date forward? 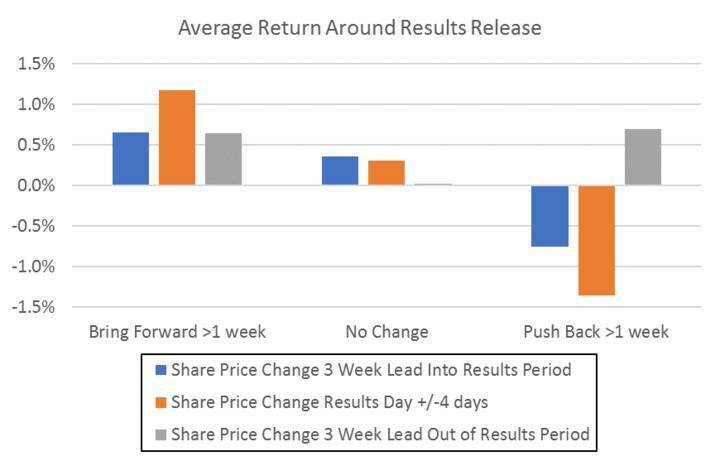 Very, very interesting, especially the trading four days prior to the Results Announcement. Dare I suggest ASIC take a look at this? Interesting analysis Matt. Is there a site which groups reporting dates and indicates early or late submissions? Pretty interesting to see SSM up ~4% on their results today. I know it's just one example but certainly supports the thesis.